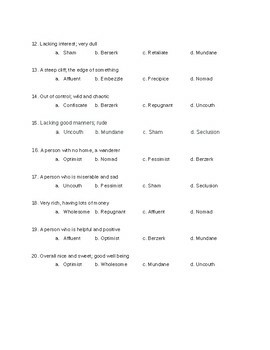 This is a 40 question vocabulary exam. 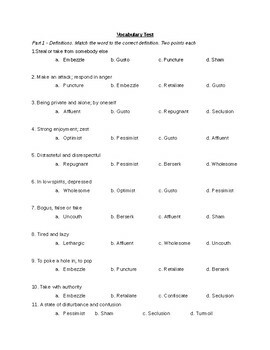 It includes 20 definitions, 20 sentences, and students must make 7 of their own sentences. 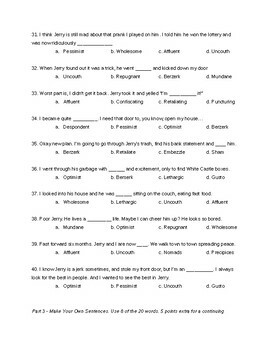 Works well with the previous four vocabulary quizzes I am offering.